A former McMaster University PhD student has launched a human rights complaint against the university over how it responded to his concussion-related health issues as he tried to complete his doctorate. Jason Tang is alleging that his post concussion symptoms amounted to a disability. A former McMaster University PhD student has launched a human rights complaint against the university over how it responded to his concussion-related health issues as he tried to complete his doctorate. Jason Tang, 32, is alleging that his post-concussion symptoms constitute a disability and the university's failure to make accommodations for him amounts to discrimination. McMaster denies any wrongdoing, and says that Tang was offered appropriate accommodations. The Ontario Human Rights Tribunal will begin hearing arguments on Friday. In 2008, Tang, a student in McMaster's medical sciences PhD program, sustained a concussion during a sporting accident. Following the accident, he demonstrated symptoms related to post-concussion syndrome — nausea, fatigue and difficulties with attention and concentration. As a result of the symptoms, Tang, who had previously completed the coursework component to his PhD program, had significant difficulty preparing for the final examination requirement, and said in a written statement that "the significant attentional and cognitive demands involved in PhD level work (even for only an hour or two at a time) causes me to experience disproportionate negative health consequences for several hours or even days." Tang's lawyer, Laurie Letheren of the ARCH Disability Law Centre, said that she was unaware of any other cases tying the handling of concussions to human rights and discrimination. Dr. Kristian Goulet, medical director of the Eastern Ontario Concussion Clinic, has treated over 3,000 concussion in his career and said Tang's symptoms are very common for individuals that have sustained concussions. Goulet is not involved in Tang's case. "Different people react in different ways, but it's normal for patients to have bouts of memory loss or have trouble concentrating. The extent of the symptoms and the amount of time they last is dependent on the individual," Goulet said. Tang — described as "a great intellect" by his thesis advisor — gradually reduced his workload at the university, withdrew from his teaching and laboratory responsibilities, and began working from home. He eventually took a six-month leave of absence from April to September 2009. Upon returning to the university in September, Tang claimed that his continuing health issues made it difficult for him to complete the comprehensive exam without accommodation from the school. The exam has a written component and an oral component. When he approached officials within the faculty of health sciences, they were initially "very supportive and willing to work to find an accommodation for my disability," according to a written statement made by Tang. The accommodation officials allegedly offered — increased time to complete written tasks and frequent breaks during the oral piece — were not suitable to Tang. Although dissatisfied with the university's proposals, Tang attempted to complete the exam in early 2011, he says in his filing to the tribunal. After spending two months trying to write the exam, he gave up, saying, "it has come to the point that the impact this is having on my health is too great to allow me to continue," he says in his filing. Tang ultimately withdrew from the program and charged that McMaster did not meet its duty to "make efforts to reasonably accommodate a student with a disability when the disability precludes the student from fulfilling the essential requirements of a course/program," as mandated by McMaster University policy. 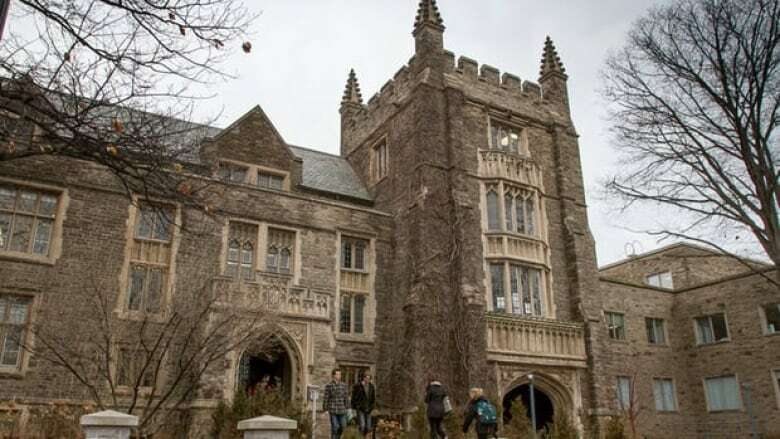 When contacted by the CBC, McMaster released a statement saying that the university "is aware of this claim and has worked with the student over the years to identify solutions that provide the accommodations necessary so that he could complete his studies, while ensuring the maintaining of appropriate academic standards. The university will vigorously defend the claim as it has treated Mr. Tang lawfully and in accordance with its accommodation obligations." Tang, who lives in Dundas, Ont., and is the father of a 6½-week-old daughter named Juliet, feels that the stress he has experienced throughout the ordeal has significantly hindered his recovery. "The eights months of ups and downs and feeling like there was hope and then getting dejected had a huge impact on my mental health and also an impact on the magnitude of the symptoms I was experiencing," he told CBC Hamilton. He says he still suffers some effects from the injury. Asked whether he would consider returning to McMaster to complete his PhD, Tang said that he considered the university to be a "toxic environment" for him. He did, however, express hope that the tribunal's proceedings, which will feature five hearings over several weeks, can "bring some awareness to...the unique nature of disability accommodation for graduate students." "I'm hoping that by bringing this forward, the idea of accommodation is better understood. "Brain injury can be a very complicated and individualized disability that it is difficult to appreciate in that it is an invisible injury, so I hope [this case] helps prevent these types of situations from happening in the future,."